Whilst the shooting season still eludes many of the Great British Shooters, Gamekeepers over the UK are busy preparing their grounds for the poults. 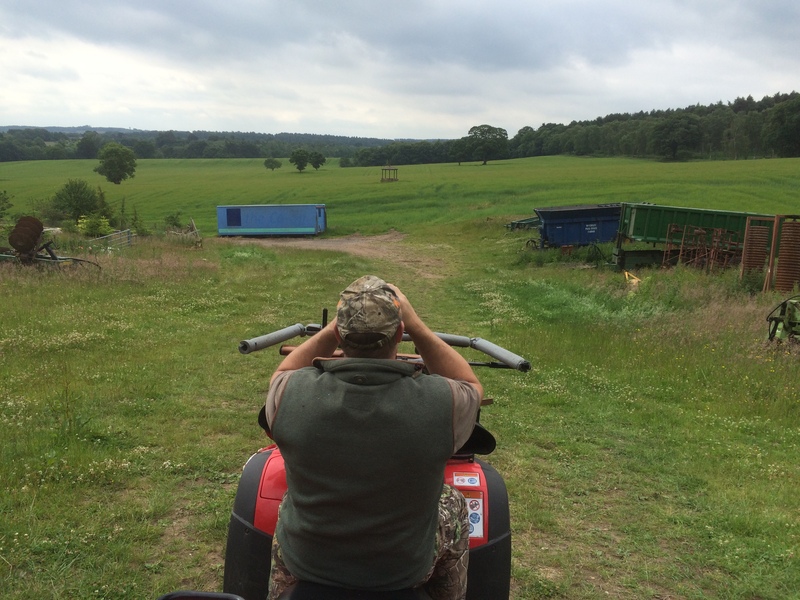 Team Wild catches up with Steve Wild who’s busy preparing for his second shooting season. 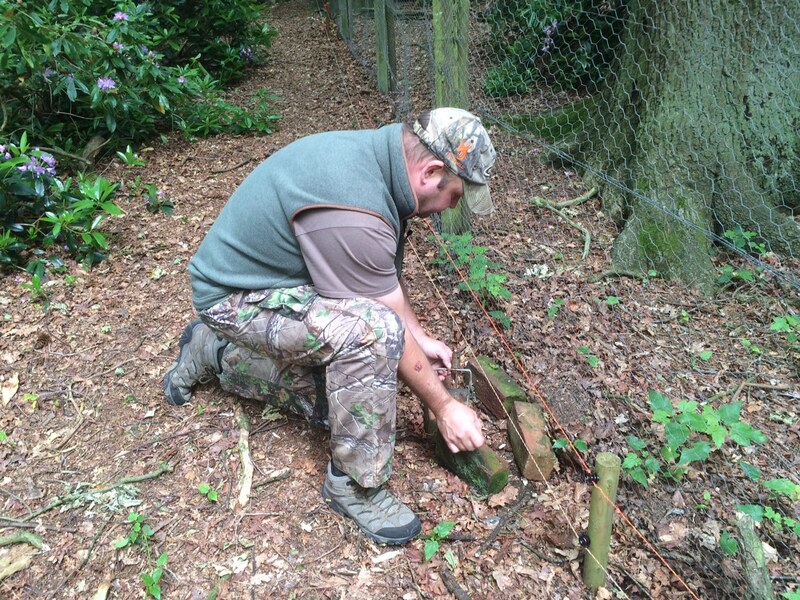 This morning Steve is out in the pens maintaining, managing and preparing for the poults arriving next week. With the weather looking good for their arrival, Steve is in high hopes. “For the poults, there is nothing worse than poor weather. Without having yet formed their natural wax to keep water off their backs, the poor weather can be a killer until they’re hardened to it”. 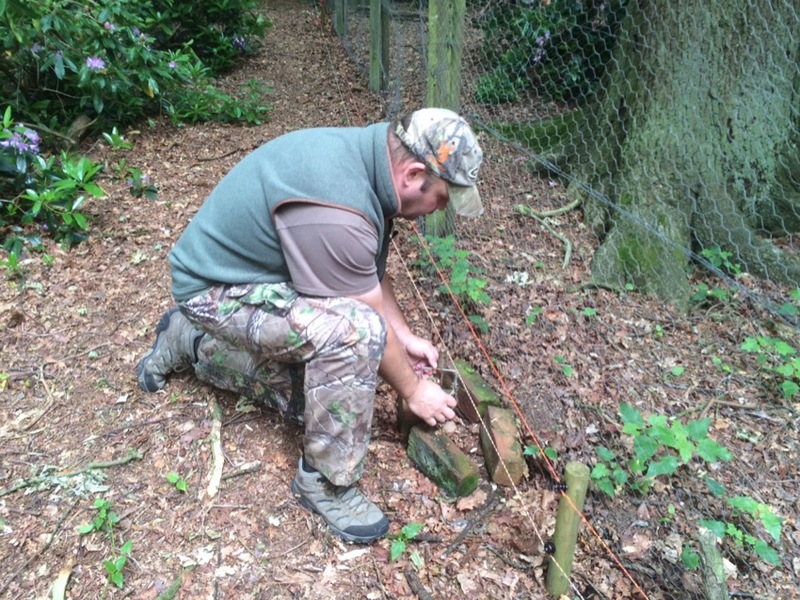 Steve’s job each morning for the first hour or two is to spend checking, assessing and assembling the traps and snares. These have been set out the day before in the hope to get any foxes, squirrels, weasels as well as anything else that can potentially cause problems for the poults once they’ve arrived. 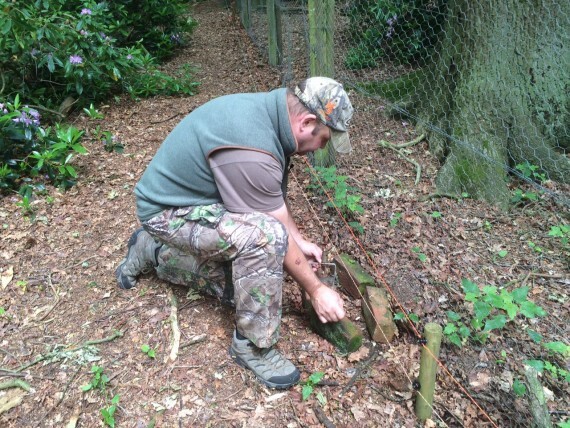 Setting Larsen traps for magpies, jays and crows is essential as they hammer the songbird population. Anything verminous, it’s Steve’s job to keep on top of. Steve has various tunnel traps with Fenn traps set inside. These are set all the way around the outside of his pens. Often stoats, weasels, rats, squirrels, will run around the outside looking for a way to get into the pens. 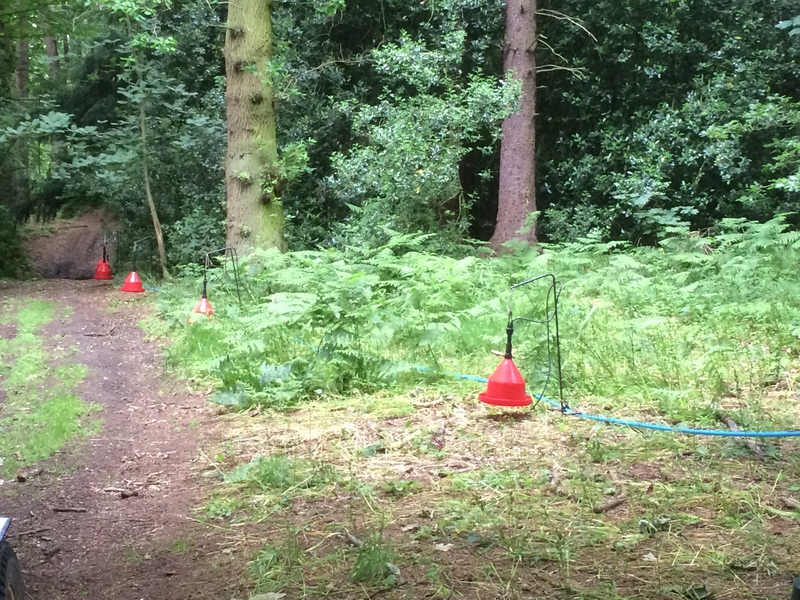 The stoats and weasels especially will go for the poults when they arrive so Steve sets all these traps to prevent that from happening. “I make what you’d call a tunnel trap along the run, narrowing the entrance and exit to stop the pheasants from getting in. This trap works wonders for any stoat, weasel or squirrel looking to get inside. We have these set pretty much all year round to try and keep the vermin numbers down, especially the squirrel. They won’t touch the poults but they chew and damage the feeders and eat the corn”. Steve finishes off setting up the drinkers. “It all works on weight. With the spring on top you have to adjust them to make sure the right amount of water is consistently in it otherwise water will flow out all the time”. 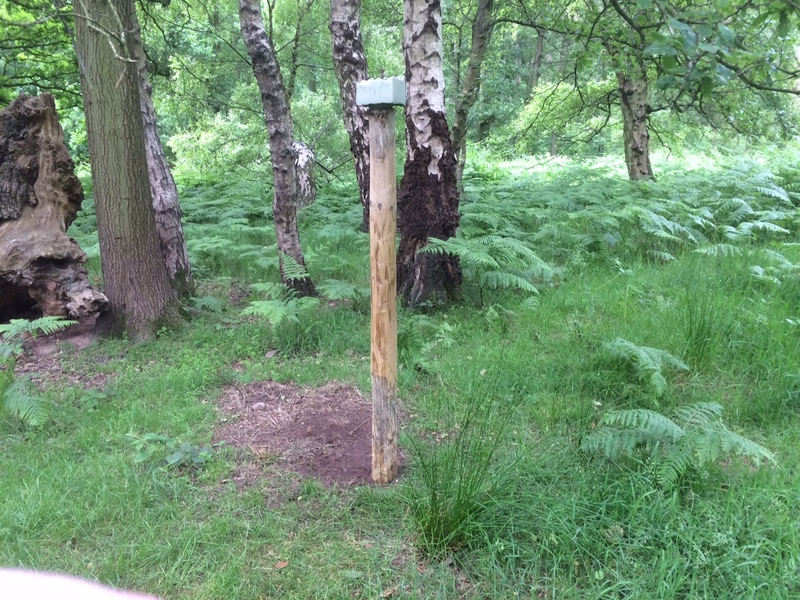 A two strand electric fence is all set up and working. “They’re checked every morning and evening to make sure they’re maintained and in working order”. As poults grow up and begin to flutter around the inside of their pen, they’ll inevitably come up to roost and become stranded outside of the pen. 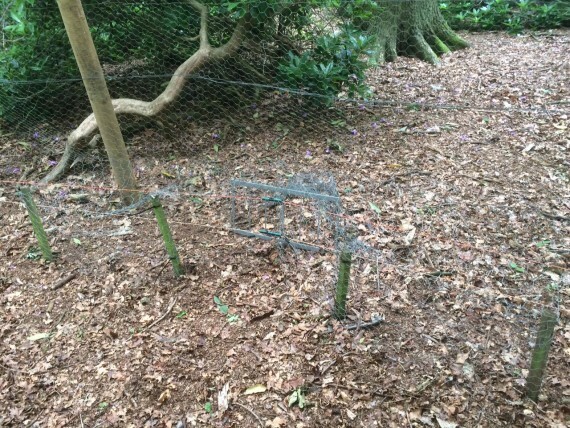 A pop hole is designed to allow pheasants back in but keep foxes and other vermin at bay. “We will walk around the pens at least three times a day. Any stragglers that are out we try and get them back in. They’ve got their food and water in there and everything else they need to stay alive. 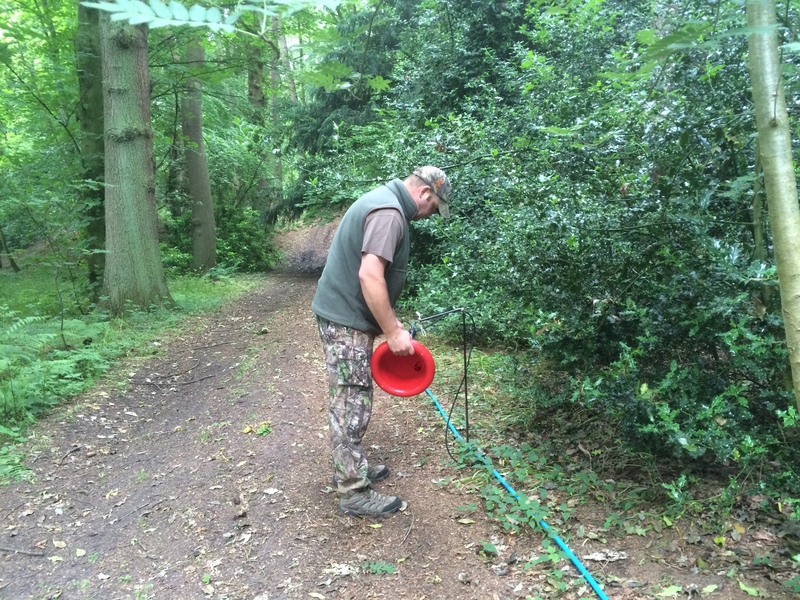 We’ve also got the hose pipe going through it, over the electric fence to stop it from shorting out”. 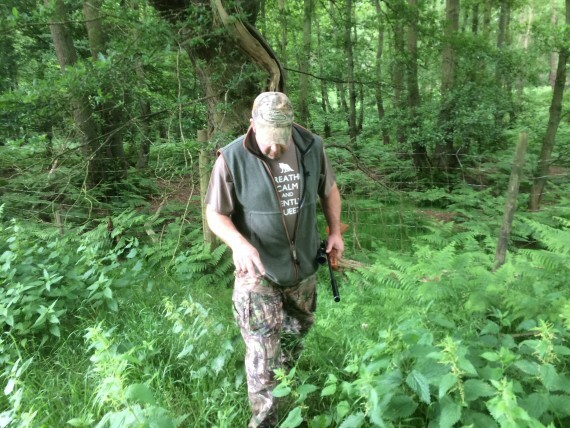 “We’ve got two species of deer on the estate, fallow and muntjac. 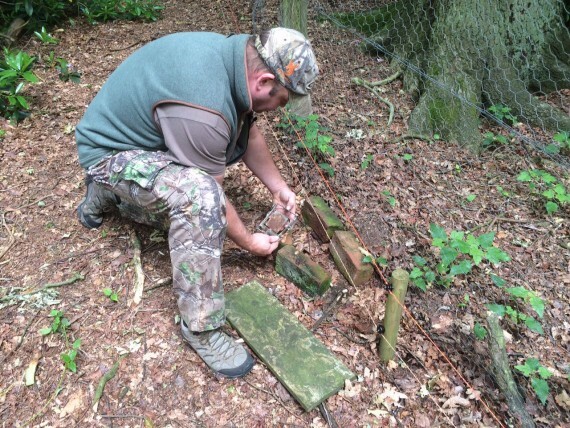 We try and help the deer on the ground so we’ve put this mineral block in. 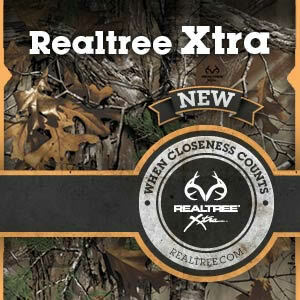 This time of the year the block has all the nutrients they need to help with their growth and produce antlers”. “You can quite clearly see that the deer have been around this area because the middle of the post is smooth, and that’s because the deer have been licking it to take all the nutrients off of it. Across the grounds we have three of these out and they’re all getting used. You can also tell they’re being used from the grass being trodden down by the different runs to the post as well as the droppings in the surrounding area”. “I’ve got a pen down the bottom and from the tracks I can tell where the foxes have been running – out the back of the wood and up into the main wood, so on this deer fence I’ve got some snares set. Last week we ran the hounds around this area to try and keep them away. It’s essential that we run the hounds through the pheasant pens before gating them up as we would hate to pen a fox in with our pheasants. 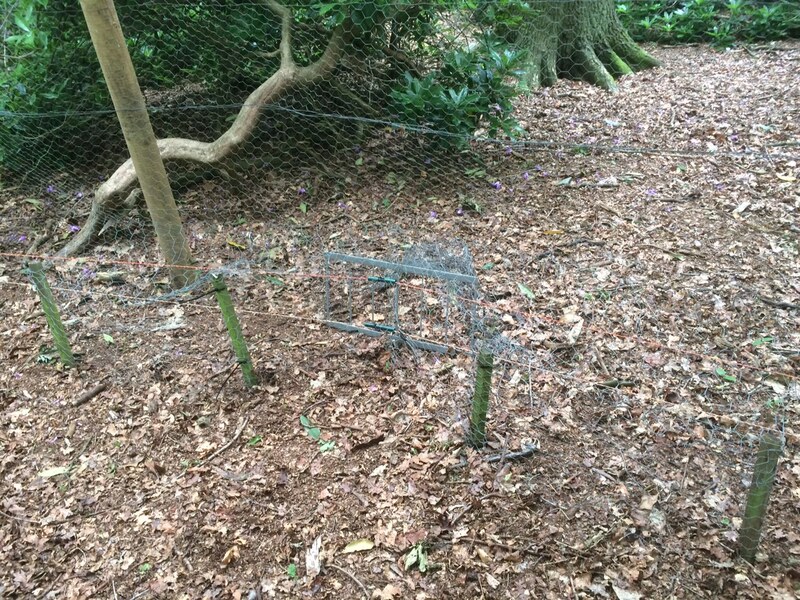 The heavy undergrowth in and around the pens makes it ideal habitat for foxes. The foxes are flushed out to standing guns and shot as it is now illegal to hunt foxes solely with hounds in the UK”. “Last year was our first season and we had a fantastic time. I had a phenomenal return of 52%, which is absolutely excellent; especially considering the national average is around 35%. It was a successful first year which I’m hoping for even more success one this year. Team Wild joins up again with Steve Wild again next week for the arrival of the poults.